It is with great sorrow that ICA received the sad news that Mr. Ramón Lorenzo Martínez passed away. Mr. Ramón Lorenzo Martínez was a distinguished engineer and cartographer. 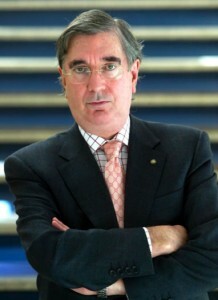 He was the first director of the Regional Service of the National Geographical Institute in Galicia (A Coruña). He served further in the National Center for Geographic Information in Madrid, Spain and as Director of the Publication Centre of the Spanish Ministry of Public Works. Mr. Ramón Lorenzo Martínez was highly respected in the International Cartographic Community. He was one of the faces of Spanish cartography as President of the Spanish Society of Cartography, Photogrammetry and Remote Sensing (SECFT) since 1996 and very well established within the International Cartographic Association (ICA) through his various roles in the Executive Committee (as Vice-President of the ICA from 2003 to 2007), in the conference organisation of the 22th International Cartographic Conference in La Coruna 2005, as well as most competent cartographer. We will honour his memory. We are very sad to inform you, that our colleague Kira B. Shingareva passed away on Sunday, 15 September 2013. Kira B. Shingareva, professor at Moscow State University for Geodesy and Cartography was Principal Scientist at the Planetary Cartography Laboratory and the Laboratory of Comparative Planetology at the Institute of Space Researches at the Academy of Science. She was one of the most eminent cartographers of extra-terrestrial bodies and was among the first people to succeed in mapping the “dark” (reverse) side of the Moon. She headed the Commission on Planetary Cartography of the International Association of Cartography. She studied in Dresden, Germany where she graduated from the Technical University in 1961 (at the age of 23), obtained a PhD in 1974, and a Dr of Science in 1992. Before then, she had gone to the University of Moscow. She wanted to become a mathematician and to study the theory of mathematics. During the exams she did not have enough points to be allowed to continue with mathematics (she just missed it by 1 point). As a consequence, she went to another university which included mathematics in the astronomical curriculum. After having returned to Moscow from Dresden in 1962, she connected with a friend who was heading the Moon project, and he asked her to work for him at the Laboratory of Comparative Planetology at the Institute of Space Researches under the aegis of the Academy of Science. In October 1959, the Soviet Luna 3 had already succeeded in photographing the Moon’s far side. Three years after her arrival at the Institute, then at the University, she participated, in 1965, in the National Space program and mapped the Moon, Mars, Phobos, and Venus. As a 27-year-old, she was very excited to work on the project. Her main task was to select the landing sites for the moon probes. On 3 February 1966, Luna 9 was able to safely land on the Moon (the first-ever to do so) and take surface close-up images in the Oceanus Procellarum; Luna 13 was able to follow up on these images on 24 December in the same year (Williams, 2005: 2,3). A turning point early in her career was the 1967 Congress of the International Astronomical Union (IAU) where she presented, for the first time, the nomenclature of the reverse side of the Moon. She was then only 29 years old. The Soviet presentation of Atlas Obratnoi Storony Luny, Ghast 2, 1967 (Atlas of the Far Side of the Moon, Part 2) at the Union failed on several accounts. Shingareva claimed, “the images were of bad quality and there were mistakes.” Ewen A. Whitaker (1999: 176), who was closely involved with the proceedings, noted that the map and a list of new names seemed like a fait accompli. Moreover, some 45% of the names were Russian. In any case, when the USSR delegation presented their nomenclature of the Moon, they faced opposition from the United States National Committee on Lunar Mapping and Nomenclature. It suggested that only numbers should be assigned to the 450 features on the reverse side of the Moon and that “we should be very conservative in assigning names,” and “use names of permanent renown” (Commission de la Lune, 1967: 104). According to a participant in the tri-annual meetings of the IAU congresses in the 1960s, the controversy started a year earlier, in 1966, when Dr. A. Mikhailov of the USSR Academy of Science sent a letter to Dr. D. Menzel, President of the Lunar nomenclature Commission. Dr. Mikhailov suggested that “names of poets, painters, composers, etc. be used to identify the newly imaged craters on the Zond 3 photos” (Letter from Ewen A. Whitaker to W.C. van den Hoonaard, 28 March 2011). Later that year, the USSR published a list of 153 new names, of which some 66 were Russian, by-passing the rules of the IAU Lunar Nomenclature Committee. When she presented her map, it became evident that the standards that applied to the near side of the Moon, could not apply to the far side. The near side showed the south pole on top of the map; the far side would show it at the bottom of the map. And where would “east” and “west” be (Whitaker, 1999: 173)? The United States scientists already had much information from their own lunar orbital photographic missions (1966–1967) involving 600,000 high-resolution images (Lunar and Planetary Institute, 2010), but the Soviets wanted her to select craters and name them. The scientists from Europe agreed with the approach taken by the Russian delegation. After Shingareva had returned to Moscow, a United States colleague sent her a map with a small crater named “Kira” in recognition of her remarkable achievements. She always had that map on her wall. All of her grandchildren know about the Kira crater. She fondly recounts the story of a 102-year-old Russian lunar scientist, naming something after him and believing that he was dead. Soon, she received a letter from him, saying, “I’m very much alive!” It is the International Commission of Nomenclature of the IAU that then ruled that one could now name craters after people who are over 100 years old! Shingareva was busy for 10 years at the USSR Academy of Sciences, participating in the Moon Exploration Project until 1977. 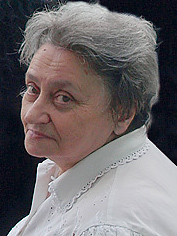 More than 150 publications to her name, including “Atlas of Terrestrial Planets and their Moons” and “Space Activity in Russia – Background, Current State, Perspectives” (Karachevtseva et al., 2003), she was appointed as co-chairman of ICA Planetary Cartography Working Group, 1995–1999, Chair of the ICA Planetary Cartography Commission, 1999–2003, and, according to the Proceedings of the International Cartographic Conference, “managed such projects as a series of multilingual maps of planets and their moons, glossary on planetary cartography, and specialized map-oriented DB on planetary cartography in the frames of commission activity” (Shingareva, Karachevtseva, and Cherepanova, 2007). On the initiative of the Moscow State University for Geodesy and Cartography (MIIGAiK), several groups in Europe involving Shingareva were working on a Multilingual Planetary Map Series (Hargitai, 2004:150). More recently, Shingareva has been trying to bring her graduate students to more earth-bound projects such as bringing her experience to bear, in 2006, on finding solutions related to the Moscow Megacity Road and Transport Complex (Sinitsyna and Shingareva, 2006). Shingareva is well recognized. She was elected Honorary Fellow of the International Cartographic Association (ICA Newsletter, Dec. 2007: 5). Please also read In Memoriam Kira B. Shingareva by her colleagues from the Commission on Planetary Cartography. The International Cartographic Association is saddened to hear of the passing of Professor Pinhas Yoeli. In 2005 Prof Yoeli received an Honorary Fellowship from the International Cartographic Association. Prof Yoeli was born on 1 July 1920 in Bayreuth, Germany. In 1936 he immigrated to Israel (then British mandatory Palestine) and, in 1938 he volunteered into the Israeli pre-state army, the Hagana. He later headed the Topography Department. In 1948, he established and commanded the Cartography Department of the Israeli Defense Forces (IDF) with the rank of Lieutenant Colonel. Later he was also appointed deputy director of the Israel Survey Department. From 1952 to 1956 he studied at the faculty of Geodesy and Cartography at ETH in Zürich, Switzerland, where he received his degree (Dip. Ing. ETH). In 1957 he was released from the IDF and started teaching at the Israeli Technological Institute (Teknion) in Haifa, Israel. He quickly attained the post of Associate Professor and was appointed the head of the Department of Geodesy and Cartography in the Faculty of Civil Engineering. In 1972 he was appointed Full Professor in the Faculty of Geography at Tel Aviv University. 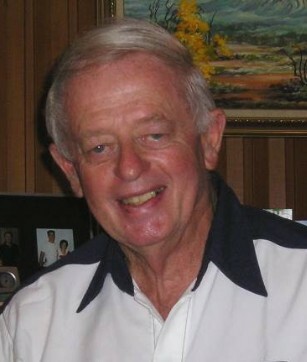 He worked until his retirement in 1991 when he became Professor Emeritus till his death on 4 April 2011. From 1988 to 1991 he was chairman of the Israeli Cartographic Association. Over the years, Professor Yoeli was invited for Sabbaticals to many academic institutes and universities throughout the world, including Switzerland (teaching and researching at the ETH Zürich and the Zürich University), Australia (at RMIT), England and USA. In addition, he worked as a consultant to well known cartographic firms in Switzerland, Sweden and Scotland. He published many papers in all major international cartographic journals. 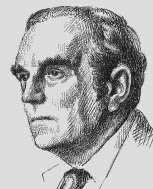 His book, Cartographic Drawing With Computers, the first in its kind, was published by the University of Nottingham, UK in 1982. Professor Yoeli’s contributions to Cartography and GI Science are respected by the international academic and professional Cartography and GI Science communities. The awards he received in Israel and internationally for his research reflects the esteem in which he was held globally. The International Cartographic Association extends its sincere sympathy to Professor Yoeli’s widow, Agnes, his family, friends and colleagues. The long-time president of the Austrian Cartographic Commission, academic teacher of generations of cartography students at the University of Vienna and outstanding cartographic researcher Ingrid Kretschmer has passed away. Ingrid Kretschmer was born in Linz, Austria, on 22 February 1939. 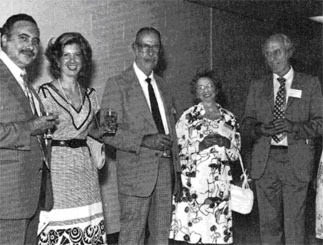 Her academic career began in 1966 as university assistant at the Institute of Geography, University of Vienna under supervision of Erik Arnberger. She worked as university lecturer at the Institute of Geography and Regional Research of the University of Vienna till her retirement in 2004. Ingrid Kretschmer dedicated her whole life to cartography both at university and scientific associations. She was a constant contributor to the Cartography and Geoinformation teaching during the long vacancies of the professorship of geography and cartography in the Institute. Besides the administrative duties, Ingrid Kretschmer dedicated herself to education, in which the history of cartography, thematic cartography and school cartography were her specialisations. Many graduates remember the exactness and rigorous attention to the correct usage of professional terminology, which was characteristic of Prof Kretschmer. The scientific work of Prof Kretschmer consists of 282 publications about fundamental issues and the history of cartography, as well as collaborations in editorial work. The most important among the numerous publications are Wesen und Aufgaben der Kartographie – Topographische Karten (Character and Duties of Cartography – Topographic Maps) in the encyclopedia Die Kartographie und ihre Randgebiete (Cartography and its Peripheral Areas) together with Erik Arnberger (1975), Lexikon zur Geschichte der Kartographie (Lexicon of the History of Cartography) together with Johannes Dörflinger and Franz Wawrik (1986) and Atlantes Austriaci in cooperation with Johannes Dörflinger and Helga Hühnel (1995). From 1977 to 1997 she was editor of the Geographischer Jahresbericht aus Österreich (Annual Geographic Report of Austria) and from 1996 to 2004 she was co-editor of Wiener Schriften zur Geographie und Kartographie (Viennese Writings in Geography and Cartography), founded by Ferdinand Mayer. Besides the academic research and education, the Austrian Geographic Association and the Austrian Cartographic Commission were Prof Kretschmer’s fields of activity. She was active within the Austrian Cartographic Commission from the beginning of her academic career. She worked on numerous map exhibitions at international conferences and on the organisation of cartographic historical conferences. She was member of the editorial board and corresponding member of the editorial staff of Kartographische Nachrichten (Cartographic News). For more than 25 years she worked on Bibliographia Cartographica and was member of the Imago Mundi Board of Directors since 1993. Between 1997–2004 she was president of the Austrian Geographic Association and worked tirelessly in preparing the 150th anniversary celebration of the association in 2006 including the edition of the celebration bulletin. Due to her excellent achievements for the association, she was appointed honorary president of the association in 2006. Already in 1995 she became honorary member of the German Cartographic Association, from which she received its highest award, the Mercator Medal, on 13 October 2004. Ingrid Kretschmer died in Linz on 22 January 2011, one month before her 72nd birthday. The funeral took place at Meidling cemetery in Vienna. Austrian, German and international cartography lost an adorable person, who dedicated herself and her whole life to cartography. We will miss her wealth of knowledge and energy. The Austrian Cartographic Commission lost one of its outstanding members. Jacques Bertin was born in 1918 in Maisons-Laffite. He studied geography at La Sorbonne. In 1954 he created the Cartographic Laboratory of the École pratique des hautes etudes (EPHE) and became its director. Later he was director of the Graphics Laboratory of the École des hautes études en sciences sociales (EHESS), before becoming a researcher at the National Centre for Scientific Research (CNRS). Jacques Bertin worked on the efficacy of thematic maps and their design improvements. He analysed visual effects on the transmission of information and the necessity for classification and application of hierarchy to data by means of different processes, including the ordered matrix. Bertin’s ground breaking research brought him international recognition, especially his work on semiotics and the subsequent publication of the famous Sémiologie Graphique. Les diagrammes, les réseaux, les cartes in 1967, with two new editions appearing in 1973 and 1999. Jacques Bertin was the Chair of the Commission on Terminology of the French Committee of Cartography. He received the prestigeous Carl Mannerfelt Gold Medal at the 1999 ICA Conference in Ottawa, the highest award of the International Cartographic Association awarded to cartographers of outstanding merit who have made significant contributions of an original nature to the field of cartography. He died in Paris on 3 May 2010. In honour of Jacques Bertin and to celebrate his work and contribution to cartography, the French Committee of Cartography added two special sessions to the programme of ICC 2011 in Paris. On Monday, 4 July, Gilles Palsky will officially present Jacques Bertin’s life and work. Following this, different cartographers from around the world will present their research either inspired or influenced by Bertin. Last but not least, a special Café Carto dedicated to Jacques Bertin will be arranged. Esri Press has recently republished Semiology of Graphics: Diagrams, Networks, Maps by Jacques Bertin. This cartographic classic has continuously held its place of significance. Now, with a new epilogue written by the author shortly before his death, this new 2010 edition in English reawakens us to the information design possibilities of modern technology. Bertin was thrilled to know that this book would be coming out and that there was still immense interest in his work and dedication to keeping it alive. 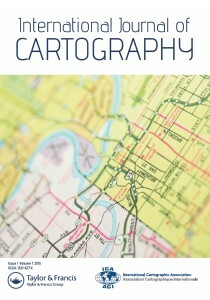 For ordering, visit esripress.esri.com/display/index.cfm. Prof. CHEN Shupeng (1920–2008), founder of remote sensing and geographic information system studies in China, died on 25 November in Beijing. Prof. Chen, an expert in geography, cartography and remote sensing application, was born in Pingxiang, Jiangxi Province in February 1920. He was graduated from Zhejiang University in 1941 and received his master degree from the university in 1947. In 1950, Prof. Chen joined the former CAS Institute of Geography, a predecessor of the CAS Institute of Geographic Sciences and Natural Resources Research. In the 1950s, Prof. Chen energetically pushed forward the compilation and publication of national atlases of China. 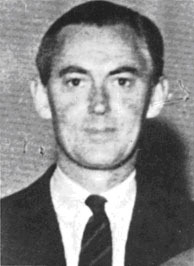 In the 1960s, he initiated the aerial photo interpretation and computer-aided mapping. In the 1970s, he devoted himself to the development of remote sensing application and organized airborne remote sensing experiments of natural resources and urban environment. In the 1980s, he took charge of the standardization of Chinese information system of resources and environment, made preparations for the establishment of a State key laboratory and served as its first director, designed an information system which has been used to assess flood damages in the middle and lower reaches of the Yellow and Yangtze rivers. After that, he joined the studies of global change. Prof. Chen was elected a CAS Member in 1980. He was also a member of the World Academy for Developing World and the International Eurasian Academy of Sciences. He was an honorary member of France Geographical Society, and an honorary director of the CAS Institute of Remote Sensing Application. He was the founder of State Key Lab of Resources and Environmental Information System. On November 20, 2005 will be the centenary jubilee of Konstantin A. Salishchev – the well-known Russian cartographer, who did a lot for the development of cartographic science and the International Cartographic Association (ICA). From 1956 till 1972 he chaired the Commission for National and Regional Atlases of the International Geographical Union; in London/Edinburgh (1984) he was elected Vice-President of ICA, and in Delhi (1968) President for the next 4-year period. The activities of Prof. Salishchev were focused on geography and cartography. When young, he actively participated in expeditions to North-East Asia under the leadership of S. Obruchev. As a result of this work which was carried out from the end of the 1920’s till the middle of the 1930’s, detailed maps of the Anadyr, Kolyma and Indigirka river basins and a considerable part of Chukotka were produced. The discovery and mapping of the Chersky mountain-range and of the ‘pole of cold’ near Oimyakon were the most important results of the research during that period. The world community got acquainted with these studies through Salischev’s publications of 1933–35 in Petermanns Geographische Mitteilungen and in the Geographical Review. The compilation of the Great Soviet Atlas of the World was the next stage of his work (1936–38). Since then he was deeply interested in atlas theme for all his life. 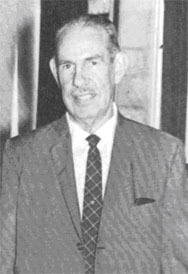 He chaired the editorial board of the Atlas on the History of Geographic Discoveries and Investigations (1959) and was a member of editorial boards of the Sea Atlas (1950–53), Physical-Geographical Atlas of the World (1964) and Atlas of Oceans (1974–80). Prof. Salishchev was the author of many articles dealing with atlas mapping. Among the most fundamental results of activities of the IGU National and Regional Atlases Commission chaired by Prof. Salishchev for 16 years were the monographs National atlases: their history, analysis, ways of improvement and standardisation (1960 in Russian and French, 1972 in English) and Regional atlases: trends of development, content of maps of natural conditions and resources (1964 in Russian and English). 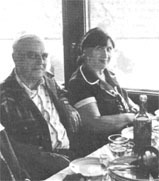 Professor and Mrs. Salichtchev aboard Wolga steamer during conference excursion 1976. Prof. Salishchev initiated the organization of the Laboratory of Integrated Mapping at the Moscow State University Faculty of Geography in 1964. A number of scientific and reference atlases have been created there: of Irkutsk oblast (1962), Kustanay oblast (1964), Northern Kazakhstan (1971), Tumen oblast (volume 1 – 1971, volume 2 – 1976), Altai Territory (volume 1 – 1978, volume 2 – 1980). Recently, the Environmental Atlas of Russia (2002) was compiled there, as well as a series of atlases for secondary; the Atlas of Khanty-Mansi Okrug is being prepared there now for publishing. The Laboratory rendered methodological assistance in the creation of the national atlases of Moldavia, Kirgizia, Uzbekistan, Tadjikistan and Lithuania, and of atlases of the oblasts of Perm, Tomsk, Sakhalin and others. In 1974 the Laboratory started a new fundamental research on maps for high schools, as Prof. Salishchev came to chair the Scientific and Editorial Council on maps for high schools. The work has resulted in the series of general geographic and thematic maps of the World (1:15 000 000), the USSR (1:4 000 000 and 1:8 000 000), the European part of the USSR (1:2 000 000), foreign countries of Eastern Europe (1:1 000 000), geographic maps of the world, continents and of regions of the USSR as well as the series of educational topographic maps at different scales. By 1996 7 thematic maps of the world, 21 maps of the USSR and its regions, 4 maps of East-European countries, 12 general geographic maps and 6 sets of topographic maps had been created. Prof. Salishchev always took a keen interest in the theory and methodology of cartography which became the topic of many articles and of a monograph (Salishchev K.A. Ideas and theoretical problems of cartography of the 1980s. – M.: VINITI of the USSR Academy of Sciences, 1982, v. 10, 156 p.). He actively upheld his views and ideas in polemics with foreign and Russian cartographers and geographers. In 1967 he became the laureate of the Anuchin Prize for his works on the theory of cartography. He suggested the idea of using maps to get knowledge about the environment. His first article on this topic was published in 1948, and he discussed this idea for many times (see the bibliography of Salishchev’s works for 1955–1984 in the anniversary collection of papers Geographical Cartography, a look at the future. Ed. by G.I. Rychagov, A.M. Berlyant, V.S. Tikunov. M., MSU, 1986, and other publications till 1988). He was always ready to respond to new ideas and trends in cartography, such as cartographic modelling or the application of remote sensing methods for thematic mapping, and a great number of his contributions concerned the prospects of automation in cartography – it is on this base that the development of geoinformation science started in Russia. Textbooks by Prof. Salishchev were translated and published in China, Germany, Poland and Cuba. His textbook Basics of cartology was rewarded with the Golden Medal of N.M. Przhevalsky (1963) and in 1984 it was rewarded with a second Golden Medal. Prof. Salishchev was honorary member of scientific societies in the USSR, Azerbaijan, Serbia, Columbia, Scotland, Poland, USA, Bulgaria, Italy and Hungary and Honorary Doctor of Berlin’s Humboldt University and Warsaw University. He was the laureate of many awards both in Russia and abroad. 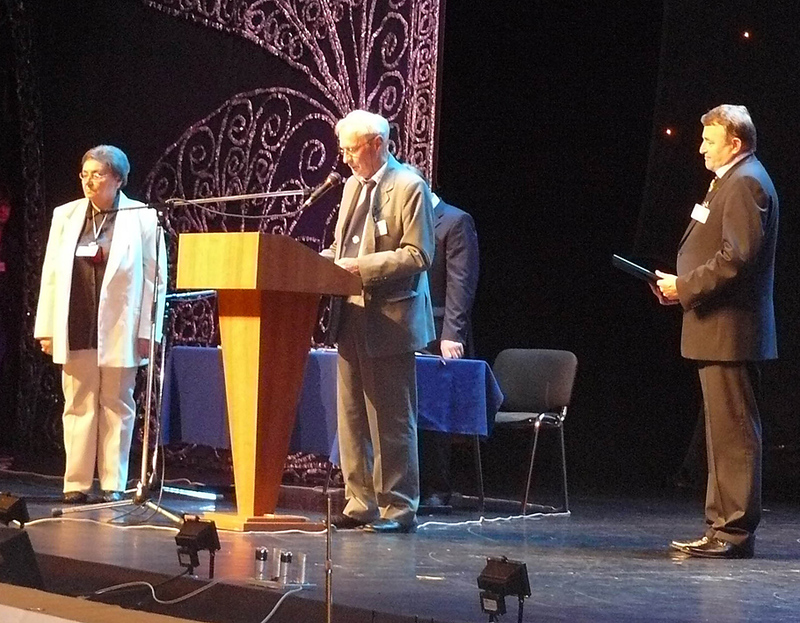 Prof. Salishchev was one of the first to receive the Carl Mannerfelt Medal, in 1980, which is awarded by the ICA for outstanding achievements in the international collaboration of cartographers. In 1965 he was nominated Honored Scientist of Russia. He was also awarded the State Prize of the USSR for his contribution to the compilation of the Atlas of Oceans (1980). The first time I met Professor Salishchev in Moscow, MGU was in 1980 at his office. At that time I was going through a 3-month stage in the Geographical faculty, dividing my interests between anthropogenic geomorphology and cartography. I used many mathematical-cartographic approaches started by prof. Salishchev and further developed by his successors. At the time of our meeting, Prof. Salishchev was a pleasant and attentive host, but in matters of cartography he was very convinced of his own truth. His ideas were based on the “Theory of reflection” but at the same time he looked also into philosophical sources from all parts of the former USSR and abroad. He had an excellent cartographical overview of domestic, European and World development and he was a very temperamental disputant. As a former president of ICA, he had a very good reputation in both parts of the world divided by the iron curtain. He was also a strong symbol of cartography in the former Central and Eastern Europe. Very interesting were Prof. Salishchev’s comments and ideas on the coming “scientific-technological revolution”. His school was prepared for the new technological situation by developing the idea of mathematical-cartographical modelling, the role of satellite images in cartography, discussions about the role of the map image as a resource for data and information for geographical research as well as research in other scientific disciplines. In personal talks he welcomed new technologies and expected them to bring new and progressive development of cartography, but at the same time he stressed that cartography had to take care about the content and quality of data and information. He did not expect any crises of cartography at the end of 80s and 90s when our science lost its previous strong positions and did not deal well with new technologies like GIS, remote sensing, GPS and others. Today the importance of cartography is growing up again. Globally operating companies need cartographical methodology and knowledge for the time when ambient technologies are coming, big GIS vendors again invest millions of dollars into the development of cartographical tools. 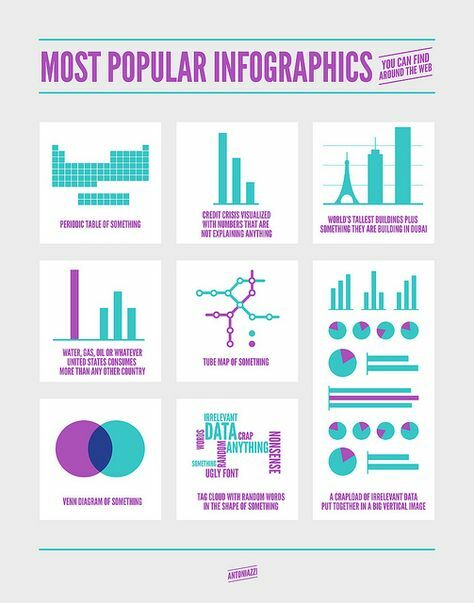 The question how to use cartography effectively for cartographic visualisation and representation of geographic data, information and knowledge on the basis of so called SDIs is the topic of the day on most of the continents. And also here Prof. Salishchev is with us. His ideas to create maps and atlases according to unified legends, at the same scales, his thoughts about necessary creation of metadata were in fact ideas about “SDIs” in cartography. In his time the World was different and our societies and various communities were not sufficiently prepared. Therefore, some of his ideas are realized today simultaneously with the development of Information/Knowledge-Based Societies and as well as in different political, economical and social conditions compared to Salishchev’s times. I am certain that if he was still with us nowadays, he would have been preparing a representative presentations of Russian cartography for the coming ICC’s in A Coruna (2005) and Moscow (2007). Prof. K.A. Salishchev was one of the best cartographers in the world and contributed a lot to development of the world cartography. The first time I participated in a conversation with Prof Salishchev was when he visited our home in 1967, during the Amsterdam ICA conference. I still remember that he was rather skeptical at the way my father had acquired this house, and did not believe my father’s claims that he had earned it himself; university professors were well-paid at the time in the Netherlands. 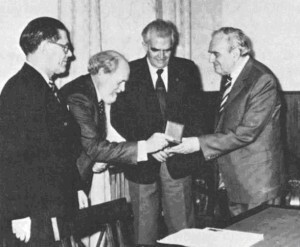 The second time was in 1976, during the Moscow ICA conference. In 1974 I had published a paper on 50 years of Soviet Cartography (1917–1974), that had been translated in The American Cartographer, and that claimed, as an aside, that there were conscious distortions on those topographical maps and town plans of the USSR, that were available to foreigners. This publication was rather awkward for my father who at the time was Secretary-General of the ICA, and who hastened to tell Salishchev (who was organizing the next ICA conference in Moscow) that it was not he who had written the article (we have the same initials). Salishchev had not forgotten this and when he saw me next in Moscow he told me he found my contribution rather unscholarly. But this did not detract from my admiration for him: for me he was a man of grand ideas, and the best one was his on national atlases. You see, Salishchev worked for a long time on the unification and standardization of national atlases. He initiated studies on the scales and on the legends of the various map themes these atlases contained: economic maps, traffic and transportation maps, manufacturing maps, etc. And the grand idea behind all this was, that if all these aspects (scales and map legends and ways of presentation) of national atlases would be standardized, then we would – by putting these atlases side by side – have one big thematic atlas of the world. It is only now that, through the new digital possibilities we have at our disposal that we are finally able to make this dream of Salishchev come true, but that does not diminish his endeavours: as a visionary he showed us the directions where to go! The first time I saw Prof. Salishchev in 1966, when I became a student of Geodesy and Cartography Department he was the head of. And I was fortunate enough to maintain good contacts with him till his death in 1988. His wide knowledge and, above all, fantastic dedication to work always produced a tremendous impression. He acquired information for his articles and textbooks grain by grain working without holidays and vacations, usually from 4 or 5 in the morning – “when everyday concerns do not pull you away”, as he often explained. However it might be well to point out that he took an interest in many other aspects of life. He was, among other things, an expert in painting and chinaware and had a good collection of it. Famous galleries, such as Tretyakov, for example, and large exhibition halls of this country asked him from time to time to exhibit some of his works. He collected post stamps too, with map images, of course. When I was in London in 1977–78 for training at the Experimental Cartographic Unit of the Royal College of Arts (the idea was initiated by Prof. Salishchev and I’m still grateful to him for it) he personally asked me to bring him some particular post stamps he was interested in. He also was an expert in Georgian wines and dishes. Of course he had a large collection of maps and atlases and was very proud of it. Although Prof. Salishchev looked cool and restrained, he could talk with colleagues and even students for hours. And his eyes shone when he managed to have a look at old maps which were another passion of him. During his visits abroad, which unfortunately never took very long, he spent a lot of time in libraries and book depositories, feeling enjoyment from working with maps which had been inaccessible to him before. All together we’d like to thank our lucky stars for the chance to have had contacts with Professor Konstantin A. Salishchev. Wisconsin in 1938 and the Ph.D. at Ohio State University in 1947. From mid-1941 until 1946 he worked in Washington, DC with the Office of Strategic Services (OSS), the forerunner of the CIA, and for almost all of that time he was Chief of the Map Division of the OSS. In that position he supervised numerous types of cartographic work, including the preparation of nearly 5,000 maps, in support of the global war effort. During the war he was commissioned in the Army with the initial rank of captain, and was later promoted to major. For his distinguished service in the OSS he received the Legion of Merit. In 1945 the University of Wisconsin at Madison offered Robinson a faculty position in the Department of Geography, and he began teaching there in 1946. He rose rapidly in the ranks of the faculty, becoming Professor of Geography and, in 1967, Lawrence Martin Professor of Cartography. He retired in 1980 with the rank of Professor Emeritus. During his long career he produced fifteen books and monographs, one of which, Elements of Cartography, went through six editions and became the preeminent textbook in cartography. However, the contribution for which he is probably best known to the public was the creation of the Robinson Projection, a map projection that he referred to as “a portrait of the earth.” In 1988 the National Geographic Society adopted that projection as its standard for producing world maps. The Robinson projection was adopted by agencies of the U.S. Government and many other users. Robinson’s work was internationally recognized, and among his many honors were two honorary degrees (from Miami University (Ohio) and from Ohio State University), the Distinguished Service Award and the Helen Culver Gold Medal from the Geographic Society of Chicago, the Carl Mannerfelt Medal of the International Cartographic Association, the Silver Medal of the British Cartographic Society, and the John Oliver LaGorce Medal of the National Geographic Society. He served as president of the International Cartographic Association, and as vice president and president of the Association of American Geographers. Robinson’s marriage of more than 50 years to the former Mary Elizabeth Coffin ended in 1992 with her death. He later remarried, and is survived by his wife Martha E. Robinson of Madison, son Stephen M. Robinson (Chong-Suk Robinson) of Madison, daughter Patricia A. Robinson (Leslie Kramer) of Sonoita, Arizona, stepdaughter Carita Baker (Ron Baker) of Hamilton, Ohio, stepson Carl James Phillips (Sandie Phillips) of Hamilton, Ohio, stepdaughter Clarissa Lowry (Miles Lowry) of Wheaton, IL, granddaughter Diana M. Oestreich (Nathan Oestreich) of Menlo Park, California, grandson James A. Robinson of Palo Alto, California, and families of the above.